Welcome to Allstars Steakhouse, a modernly decorated restaurant with a cozy atmosphere,located in the very center of Amsterdam. 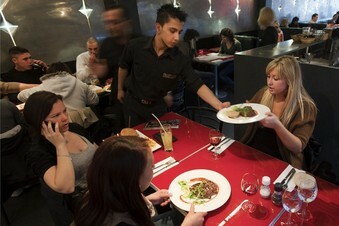 You can find restaurant Allstars in a 4 minute walking distance from Amsterdam Central Station, on Damrak street 32. Allstars’ opening times (from 08:00 to 01:00) offers you the opportunity to enjoy your breakfast, lunch, and diner at the restaurant. 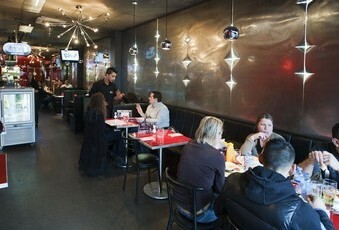 Thanks to Allstars’ central location, it’s an ideal venue for your parties and group dinners. With multiple parking garages around and Central Station just around the corner, Allstars is easily accessible. Planning to enjoy the Amsterdam night life? Spui Square, Leidse Square, Rembrandt Square, and the Red Light District are to be found in a walking distance!